Whether you are buying, selling or maintaining your home, Reveal Home Inspection, LLC provides professional and quality service from the moment you call us. Our, licensed, certified home inspectors will walk through your home with you and teach you as much as you want to learn. 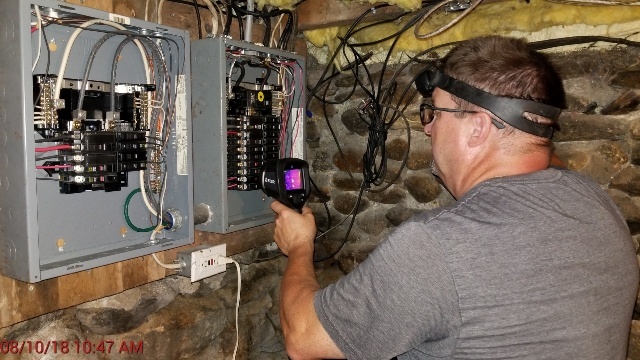 We strictly follow the Standards of Practice for home inspectors established by the state of New Hampshire, ASHI and InterNACHI, the leading home inspection associations. Our inspection standards are governed by the state of NH & the American Society of Home Inspectors (ASHI) standards of practice. Absolutely, we’re happy to have you come and observe the process. There will be times where we need to focus and evaluate, but feel free to tag along and ask questions. This is where our “2-Person Inspection” system has a big advantage over a single inspector. When Can I Pay You? Payment can be made on line through our secure Authorize.net system, on the phone prior to or at the time of the inspection. The inspection report is sent once payment is made. Reports are generally delivered within 24 hours of the inspection. In some circumstances it’s same day or within 48 hours. This will be discussed and agreed upon during the inspection…no surprises!